Looking for a quick cool dessert or just a treat? This recipe for instant Matcha Green Tea Sorbet recipe takes just minutes. Also, Matcha Green Tea Sorbet can be made without the aid of either a blender or an ice cream maker. Sorbet is an excellent way to cleanse your palate before, during or after a meal. It’s light, refreshing and contains little to no fat without sacrificing any flavor. It has a lighter, cleaner taste than green tea ice cream. Additionally, sorbet is a great way to avoid the temptation of ice cream while still enjoying a treat that satisfies your sweet tooth without all the heavy sugars. 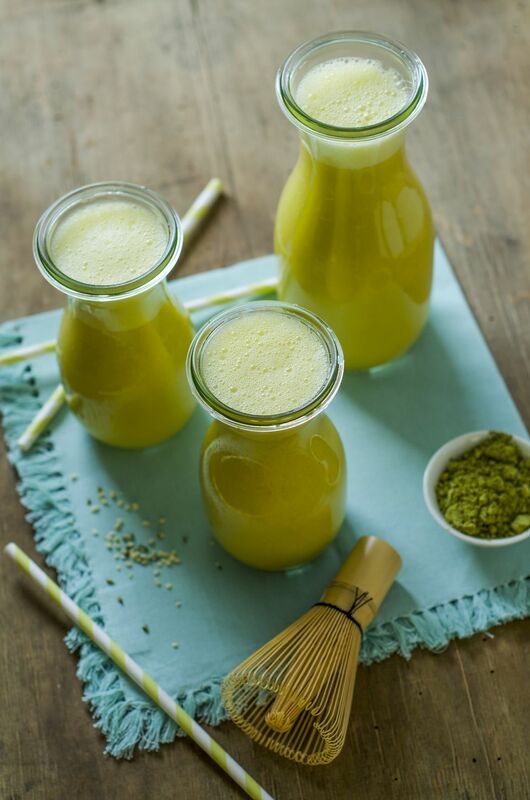 Not only is the sorbet tasty and refreshing, but this recipe harnesses the healthy goodness of Japanese matcha, which is the finely ground powder of specially grown and processed green tea. Matcha Green Tea Sorbet is delicious in summer or anytime you're in the mood. Try this recipe with lime, lemon or orange juice. Top with vanilla ice cream or anko (boiled azuki beans) as a special treat. Combine granulated sugar and green tea powder in a bowl. Put 2 cups of water and the sugar mixture in a sauce pan. Soak the pan in a bowl of cold water to cool the liquid to room temperature. Pour the liquid in a freezer-safe container and put it in a freezer. Stir the sorbet every 30 minutes or one hour. Freeze until sorbet is almost frozen.